It is difficult to miss the entrance to the White River Gardens right next to the main entrance of the Indianapolis Zoo, but some visitors still miss seeing the gardens after spending busy day of walking and seeing the sights at city's fabulous zoo. Don't miss out, though. It's well worth saving a little time and energy to make sure you see the conservatory and outdoor gardens at this colorful White River State Park Attraction. White River Gardens is a botanic garden that is actually part of the zoo, and your zoo admission includes entrance to the 3.3-acre facility with a 5,000-square-foot glass-enclosed conservatory and landscaped outdoor gardens. We found it the perfect place to spend a bit of time on a hot and humid summer day checking out the plants and butterflies in the conservatory and wandering around the themed outdoor gardens. It was a serene way to end a busy day at the zoo by sauntering the 1.5 miles of paths and walkways through White River Gardens. 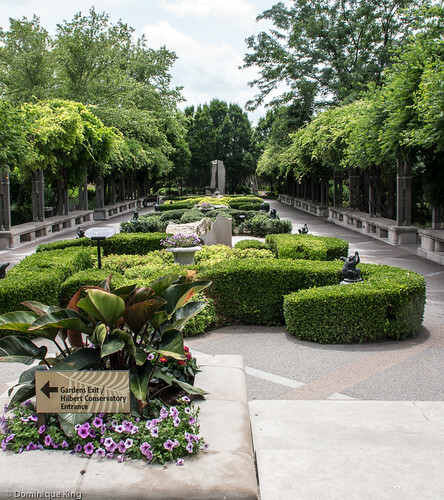 White River Gardens broke ground in 1997 and opened to the public in June of 1999. 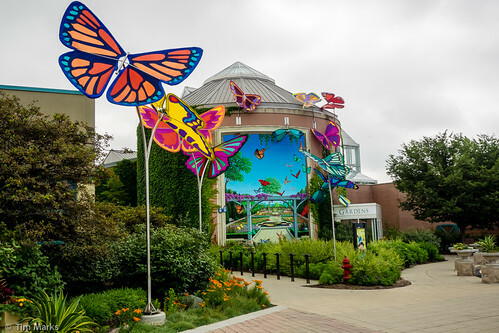 The facility cost $14 million to build and eventually joined with the Zoo to promote and create complimentary programs, as well as meeting its own goals of providing resources and design ideas for gardeners who tend plots both large and small. 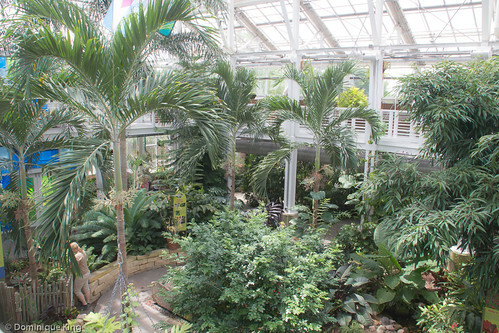 The Hilbert Conservatory is a centerpiece at the Gardens, providing a home to hundreds of types of plants and a good number of butterflies when we visited. 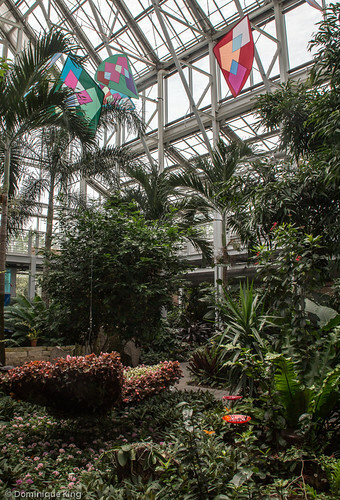 A 360-degree mural in the building's rotunda helps inspire gardeners by celebrating gardening in the Midwest, and the conservatory hosts four or five seasonal shows each year. 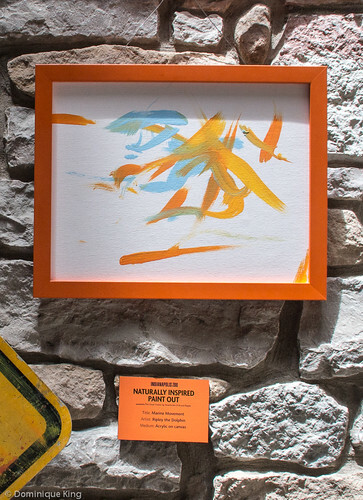 We particularly enjoyed seeing a show featuring zoo-inspired art. 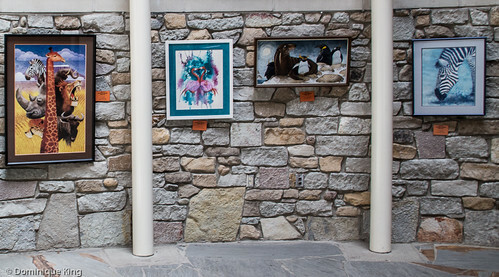 The Zoo occasionally offers an Animal Art Adventures program where visitors select colors that animal artists use to create a custom piece for them like this dolphin-created piece that I spotted in the rotunda. 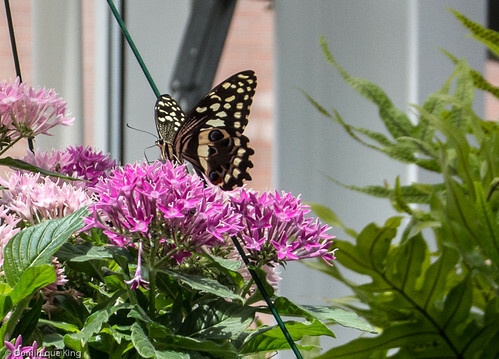 The conservatory's main climate-controlled area features 65-foot-high glass ceilings and a 12-foot-high mezzanine level offering a birds-eye view of the gardens below and a chance to get a close-up view of some of the conservatory's other inhabitants like this pretty butterfly. 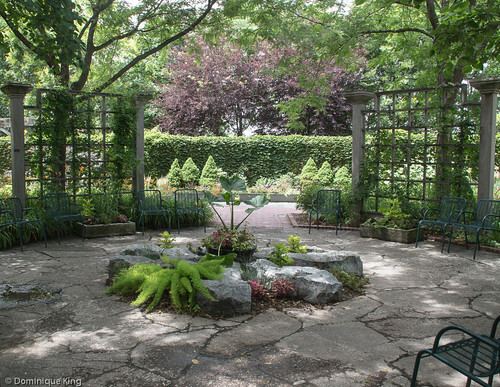 The outdoor gardens include spaces designed with different ideas in mind like featuring design gardens, a shade garden, a sun garden, a water garden and a special garden that is a favorite venue for weddings and receptions. Some of the gardens change seasonally, including one that offers a nice display of tulips each spring. There are plenty of design ideas, inspiration and access to research and staff who can help you with your gardening questions available at White River Gardens. Not much of a gardener? 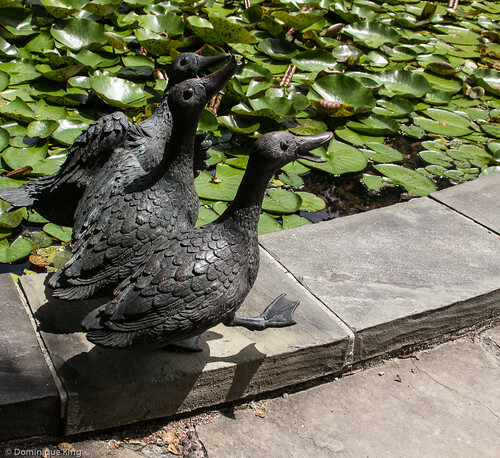 You can still enjoy relaxing in the beautiful gardens that act as outdoor rooms, complete with a few chairs and benches, as well as fountains and artful decor. You can connect with White River Gardens on the Zoo's Web site or Facebook page. Be sure to also check more stories and images of our experience at the Indianapolis Zoo at It's all happening at the Indianapolis Zoo and Feeding the birds at the Indianapolis Zoo. Thanks to the White River State Park that, along with Visit Indy and Downtown Indy, sponsored our visit to Indianapolis, Indiana by providing lodging, meals and help arranging visits to area attractions for our review, with no further compensation .We were free to express my own opinions about the stay and experiences, and the opinions expressed here are our own. The butterfly garden looks like a mini-paradise! Tim nor I have green thumbs, but definitely love strolling through a lovely garden like this. Definitely a little piece of paradise after several hours in the hustle and bustle of the Zoo! The idea that there were no green thumbs required on our part sure added to the allure, too!